The Archdiocese of New York requires at least a six month period of preparation for all couples planning a Church wedding. The parish marriage preparation process includes three meetings between the couple and the Priest who will be witnessing the marriage. A separate Diocesan Marriage Preparation Program (Pre-Cana) is also required by Church law. 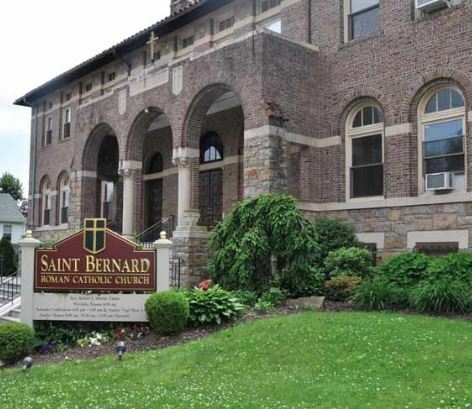 Couples planning to get married at St. Bernard’s should call the rectory to schedule an appointment with a Priest soon after engagement. At the initial meeting, the Priest reviews the marriage preparation process with the couple. The couple is informed of the need to obtain sacramental certificates from the parishes where they received Baptism, First Holy Communion, and Confirmation. While the original First Holy Communion and Confirmation certificates may be presented to the Priest at the second preparation meeting, new Baptismal Certificates must be presented from the parishes of Baptism, dated within six months of the planned wedding date. This first meeting also provides an opportunity for the couple and Priest to discuss any special concerns in regard to the upcoming wedding, such as necessary permission (for a marriage to a baptized non-Catholic) or necessary dispensation (for marriage to a non-Christian). The couples are also informed of the Diocesan mandate to attend a Marriage Preparation Program (Pre-Cana). The various options for satisfying this requirement are presented in a Pre-Cana brochure distributed at this meeting. Couples also receive a Together for Life booklet which allows them to choose the prayers, readings, and consent used for their marriage. The second meeting is scheduled after the couple has completed the Diocesan marriage preparation program (Pre-Cana) and has collected the required sacramental certificates and church documents pertaining to their preparation. During this meeting the couple discusses their experience of the Marriage Preparation Program, completes a Prematrimonial Questionnaire, and reviews their selections from the Together for Life booklet. At the third meeting, the Priest conducts the wedding rehearsal with the couple, parents, and wedding party. Within 60 days prior to the scheduled wedding date, the couple must obtain a marriage license from the State of New York and submit it to the Priest who is witnessing their wedding. Marriage licenses can be obtained from any Town/City Hall in New York State. Please note that in many Central and South American Countries the civil wedding ceremony is separate from the Church ceremony. However, in the United States, there is just one ceremony celebrated in the Church, which is recognized by both the Church and state. 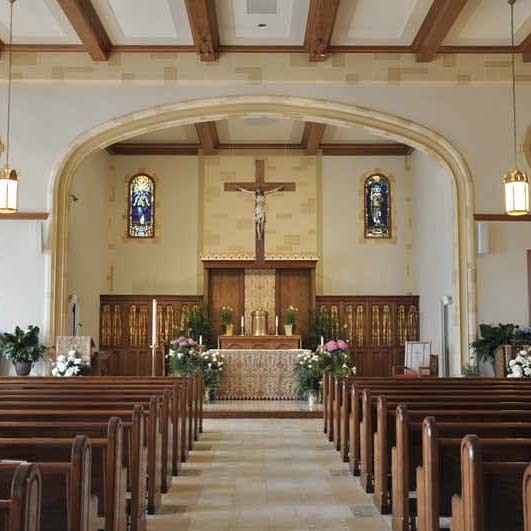 Because of the weekend Mass and Confession schedule here at St. Bernard’s, weddings must begin at the exact scheduled time. The Bride and the Wedding Party are asked to arrive at the Church at least 15 minutes before the scheduled start time. 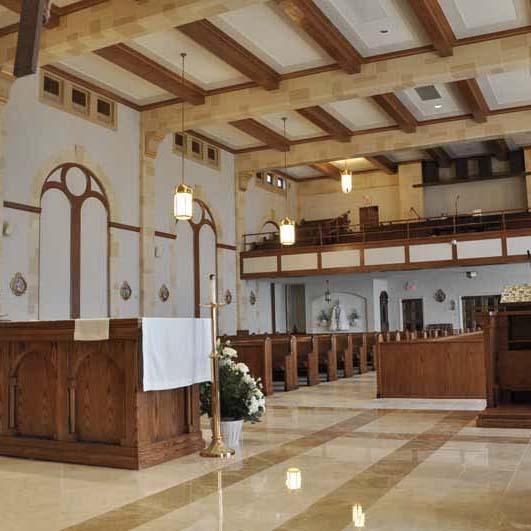 Arrangements for music can be made with the Coordinator of Music at St. Bernard’s, Lou Fortunate on (914) 319-2531..
All photographers and videographers are asked to speak with the Priest at least 10 minutes before the scheduled start time of the wedding to review the places where pictures/videos may and may not be taken. Flash photos are permitted during the procession and recession parts of the ceremony. Once the ceremony begins, only non-flash photos are permitted. Video cameras without floodlights may be used throughout the entirety of the ceremony. The photographer and videographers are not permitted in the Church sanctuary at any time during the ceremony. For safety reasons, rice or bird seed may not be thrown inside or outside of the Church. The Church of St. Bernard is sacred ground. Alcoholic beverages must never be consumed inside the Church or outside on its grounds.